Remember the Spring Fiber & Fabric Craft Roundup from last week? 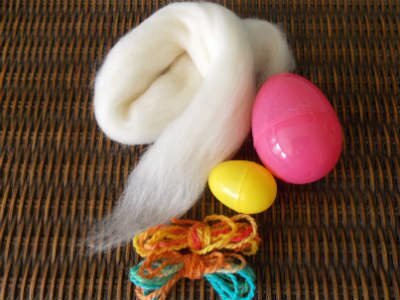 It included a tutorial by Rosina of Rosy – Posy on how to make felted easter eggs. I’ve never made them so I decided to give it a try. 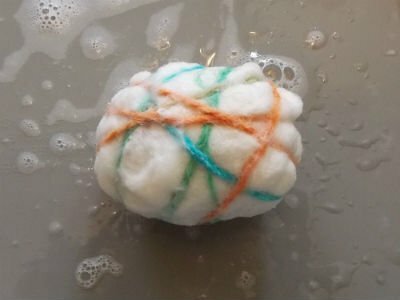 I thought they were made the same way as the Wool Dryer Balls, but I was wrong! 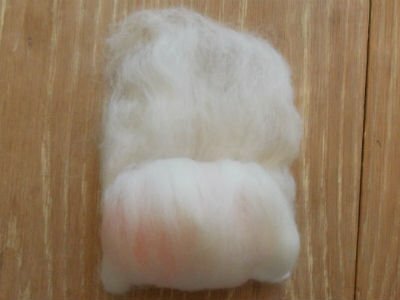 If you saw the dryer ball tutorial, you know that they are just dry wool fiber wound up in a ball. 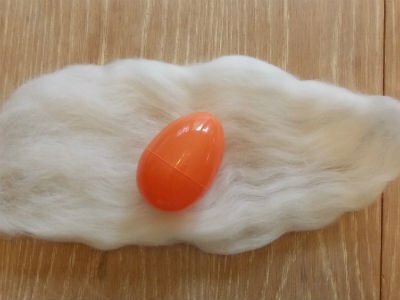 Well, to get the egg shape, the fiber has to be wrapped around one of those plastic easter eggs and it kept sliding off when I tried to put it in the pantyhose. Also, I wanted to add decorations with dyed yarn. Did you see my other Felting Tutorials? Take a piece of roving and thin it out. 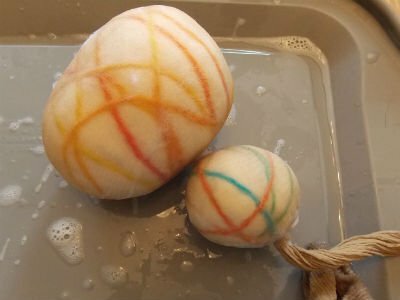 Place a plastic egg in the center and wrap the sheet of roving around it, tucking in the corners as much as you can. I took a second strip of roving and wrapped it around the egg in the opposite direction to make sure the entire egg was covered with fiber. This also helped me to tuck in any big lumps. 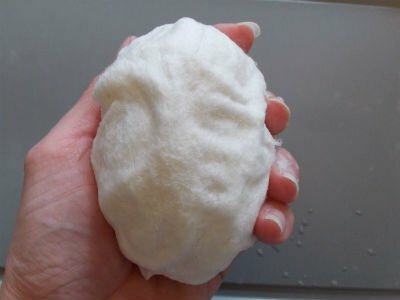 Sprinkle the fiber wrapped egg with warm soapy water and using your hands, work the water all the way into the fiber. Once it’s completely whetted down, you can add stripes of yarn if you’d like. Wet the yarn. When the washer is finished, take the eggs out and cut off the nylon hose. I wanted the felt to be a bit softer than the dryer balls so I decided not to put the eggs in the dryer and air dried them instead. There ya go! 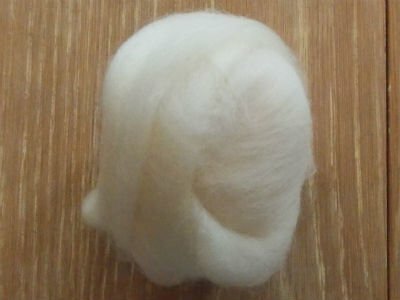 Have you tried felting yet?? Great way to make Easter eggs. I am from Bulgaria and here Easter is one of the biggest and most important holidays we have through the year. I’m from Germany and Easter is a pretty big holiday there as well. Happy Easter to you! So festive and cute for Easter! Now this is an absolutely adorable craft – and I love the detailed tutorial for the craft-impaired like me!